A very good cause comes to Savile Row on Monday 10th December when possibly the most stylishly-stocked pop-up store ever opens its doors at number 31. An initiative of the leading menswear stylist and writer Tom Stubbs (pictured setting up) and organized with Anda Rowland of Savile Row Bespoke Association (SRBA) member Anderson & Sheppard, the A Call to Garms store is in aid of Crisis, the national charity for homeless people, and will carry a multitude of beautiful pieces of menswear, many of them donated by SRBA members. Participating SRBA members include Anderson & Sheppard, Chittleborough & Morgan, Dege & Skinner, Gieves & Hawkes, Henry Poole & Co, Kilgour, Norton & Son, Richard Anderson and Richard James. 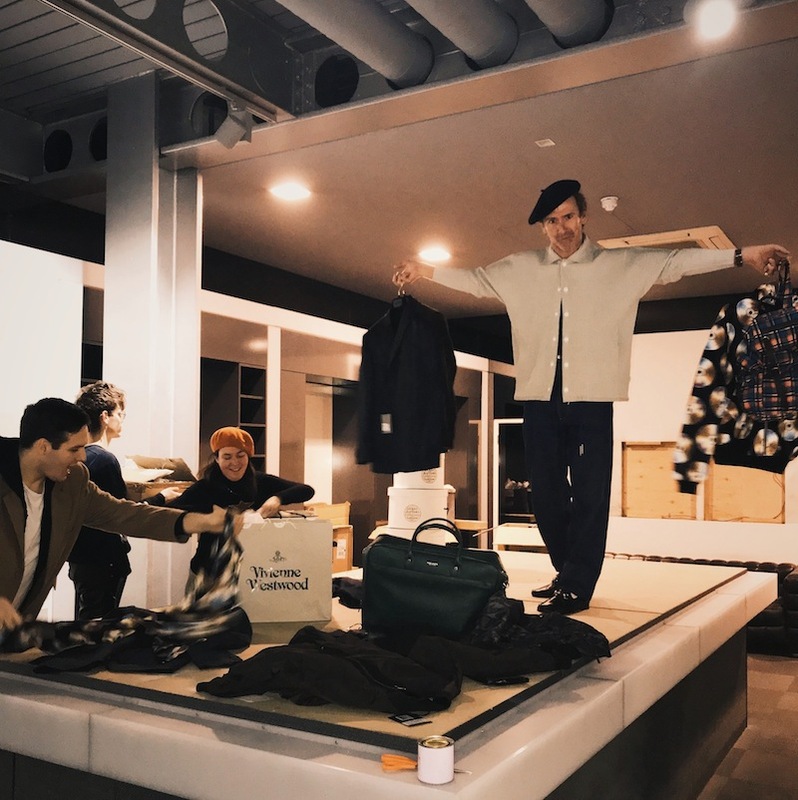 Donations, which include samples, excess and aged stock, vintage garments, bespoke tailoring, leather good and accessories, have also been made by Budd Shirtmakers, Connolly, Corneliani, Crockett & Jones, Dashing Tweeds, E. Tautz, Globe Trotter, Grenson, Guiseppe Zanotti, Hamilton & Hare, Jimmy Choo, Lanvin, Lock & Co, London Sock Co, Mr Porter, Nigel Cabourn, Pickett, Thom Sweeney, Thomas Pink, Trunk and Vivienne Westwood. Tuesday 11th December - Shopping Channel product hype event with Dermot O’Leary and Tom Stubbs. Wednesday 12th December from 7pm - VFD hosted by Lyall Hakaraia and his people. Ticketed event with proceeds to Crisis. Tuesday 18th December from 8.30pm - David Gray plays exclusive one-off gig at 31 Savile Row. Ticketed event with proceeds to Crisis. 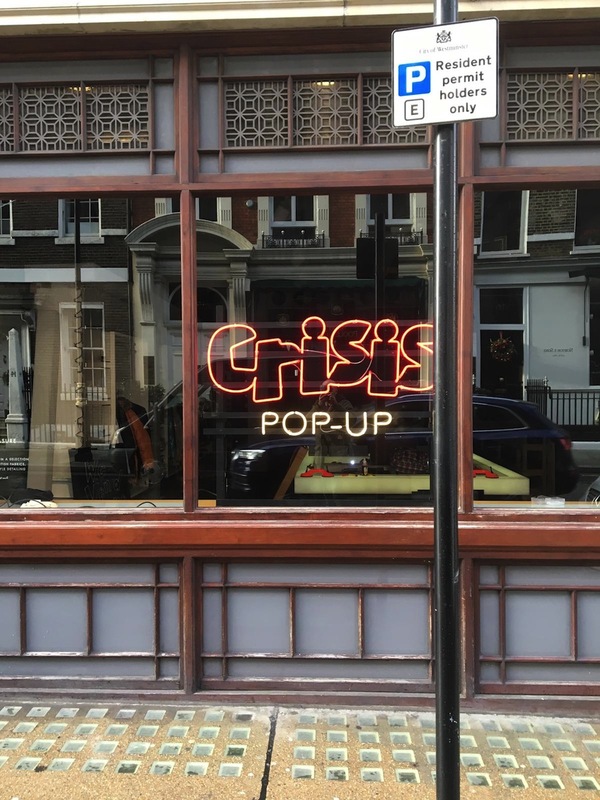 The neon Crisis store sign (pictured, bottom) was produced by Philip Oakley Illuminations.